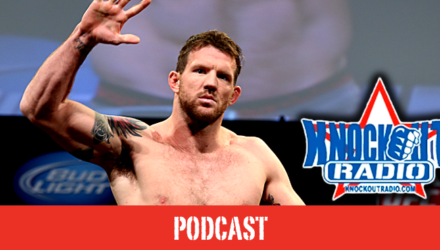 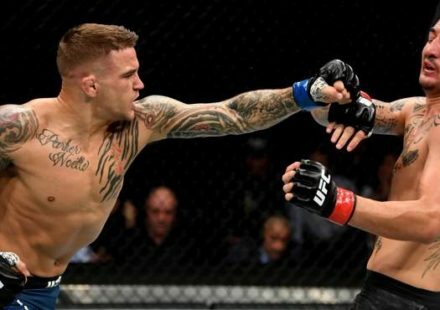 Check out Knockout Radio's podcast featuring Ryan Bader, Dominick Reyes, Wes Sims, Gerald Sherrell, Ken Shamrock, Joe Riggs, and MMA Bobblehead. 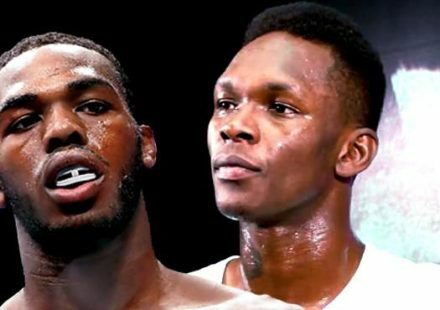 Join Knockout Radio for their show featuring special guests King Mo Lawal, Ken Shamrock, and Kamaru Usman, plus all the hottest MMA news! Ken Shamrock and Kimbo Slice each tested positive on their Bellator 149 drug tests. 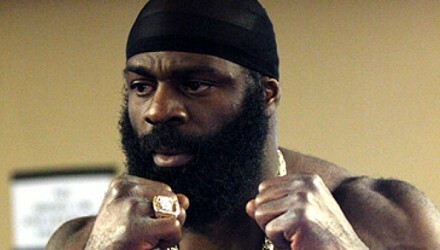 On Monday, it was revealed that both tested positive for steroids. 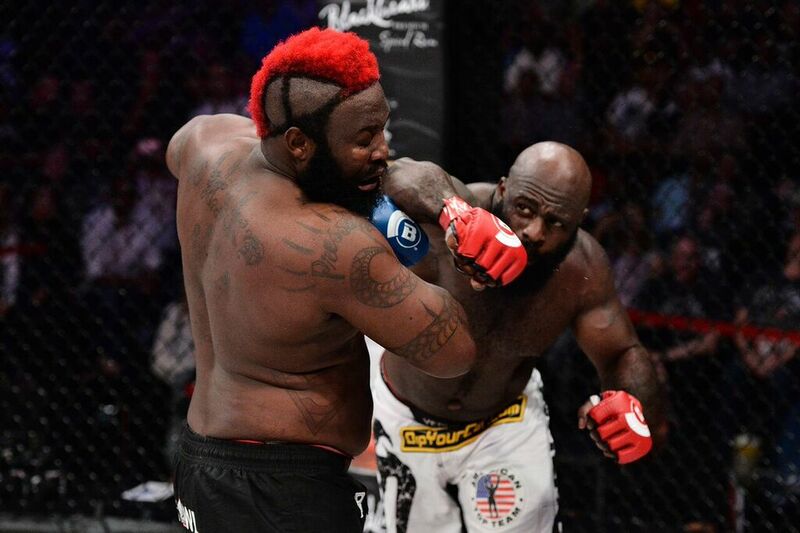 Kimbo Slice and Ken Shamrock have each tested positive for banned substances following their respective bouts at Bellator 149. 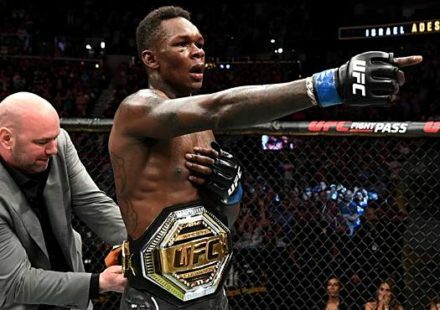 Bellator 149 shattered viewership records for Bellator MMA, peaking with Kimbo Slice’s three-round brawl with Dada 5000 averaging 2.5 million viewers. 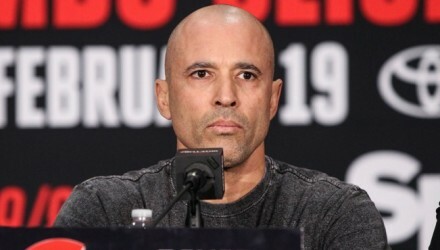 Watch the Bellator 149 post-fight press conference featuring Bellator president Scott Coker, Royce Gracie, Ken Shamrock, Kimbo Slice, and more. 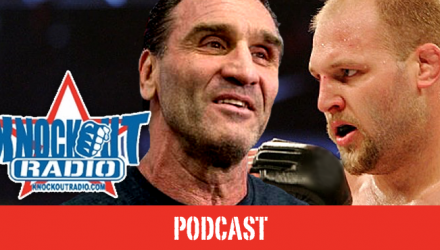 Join Knockout Radio for their podcast featuring Ben Rothwell, Ken Shamrock, Pat Miletich, Jerry Fullerton, and Gino Collura, and the top MMA news! Watch the Bellator 149: Shamrock vs. Gracie weigh-in and see the full results. 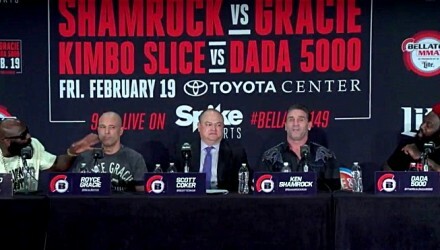 Watch the heated "Bellator 149: Shamrock vs. Gracie" Press Conference featuring: Ken Shamrock, Royce Gracie, Kimbo Slice, Dada 5000 and Bellator President Scott Coker. 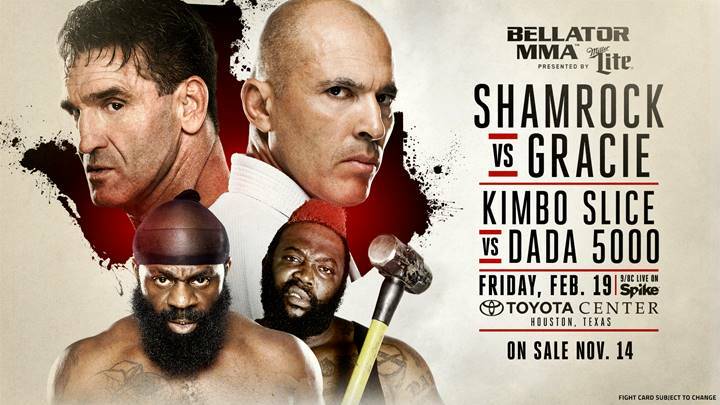 Bellator's next "tentpole event" will feature Royce Gracie vs. Ken Shamrock 3 and Kimbo Slice vs. Dada 5000. 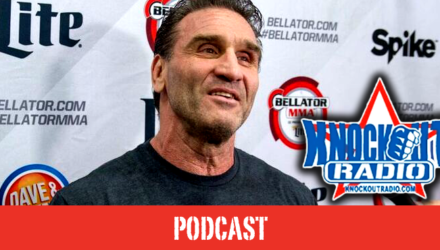 Ken Shamrock says Kimbo Slice tapped out during the Bellator 138 main event, but blames himself and ring rust for TKO loss. 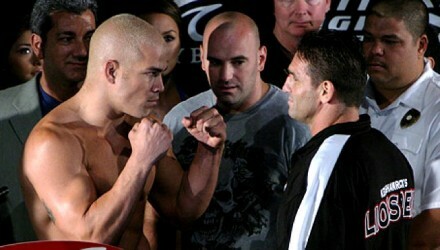 Tito Ortiz says he turned down "freak show" fights with Kimbo and both Shamrocks, Ken and Frank, because he wants to become the Bellator champion. 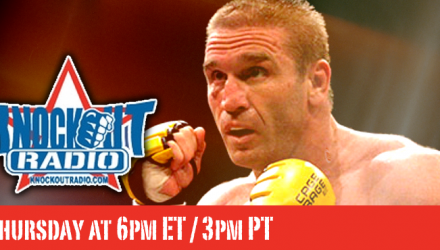 Fifty-one-year-old Ken Shamrock says you will not be disappointed with his performance against Kevin "Kimbo Slice" Ferguson in the Bellator 138 main event. 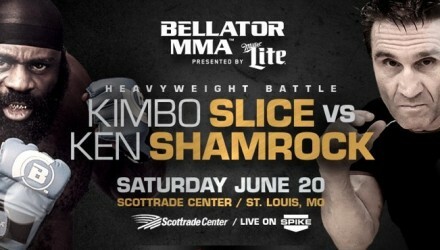 The 24 fighters competing on the Bellator 138 fight card officially weighed in at the Scottrade Center in St. Louis on Friday. 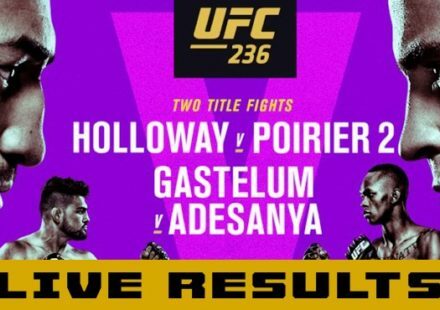 The 28 fighters competing on the Bellator 138 fight card on Friday officially weighed in on Thursday at the Scottrade Center in St. Louis. 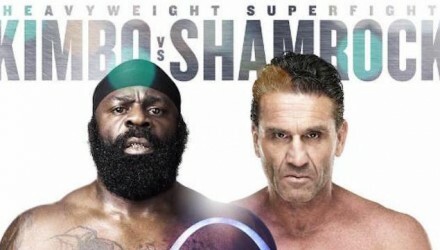 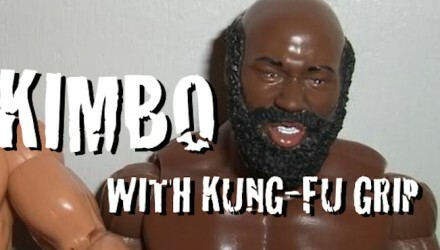 “FINALLY” takes an in-depth look at the various conspiracy theories relating to cancellation of the first Kimbo Slice vs. Ken Shamrock match-up. 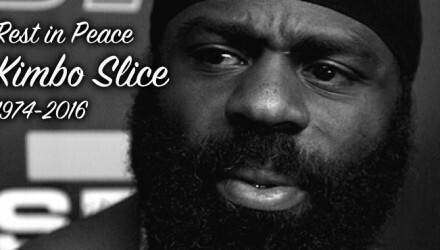 There is a lot of animosity between Kimbo Slice and Ken Shamrock and it was evident in this Bellator 138 media call.